Another month, another additional feature for VOD rules! Our customers ❤️ their linear scheduling colleagues, but sometimes linear schedules can get fairly busy, and it is common for content to be repeated in slower parts of the day. 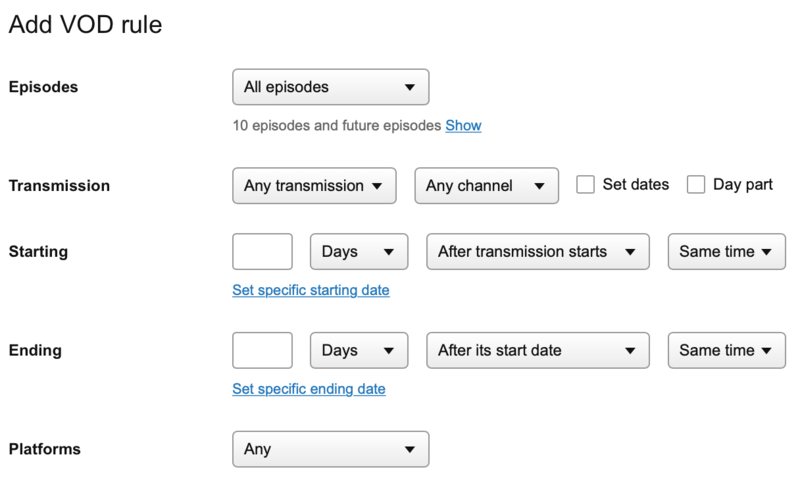 Great for filling out a schedule, but not great for our automated schedule generation via VOD rules. 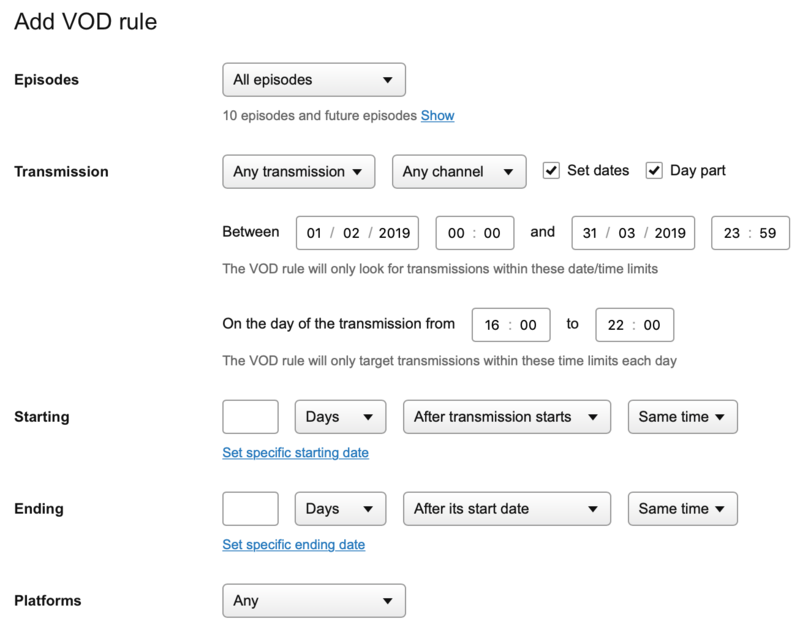 We’ve added the ability to target day parts within VOD rules, meaning that you can create rules which only look at prime time and safely create your VOD schedule entries as you intend! Clicking the checkbox, gives you the option to specify a start and an end time - remember to use 24-hour notation here! In this example, we’re only going to look at linear schedule entries on our services which fall between 16:00 and 22:00, any linear schedule entries which fall outside those times will be ignored. Of course, we can still set date ranges as well, in addition! 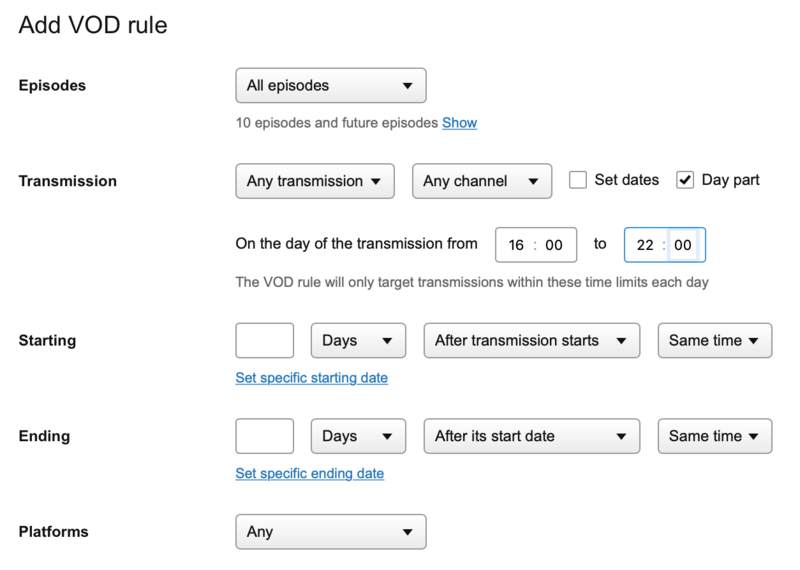 Now you can limit your rules to heart’s content, and be sure you are creating the VOD schedule entries you intend to! We’re very proud of the range of functionality VOD rules provide, but we’re always looking to improve them! Please let your account manager know if there are more elements you think we should add to VOD rules to make them even better!